Pop stars are dying their hair every color under the sun. The more unnatural and shocking it is, the better. We've seen hot pink, lime green, purple, and even cobalt blue hair strut around on stages, pose on the red carpet, and run from the paparazzi. Anything and everything to get the attention they need to fed their egos and keep their careers moving forward. You may not have a camera crew following your every move, but you can still look cool with this blue and purple wig. Tight curls are gathered up into two fierce pigtails and tied with black ribbon. 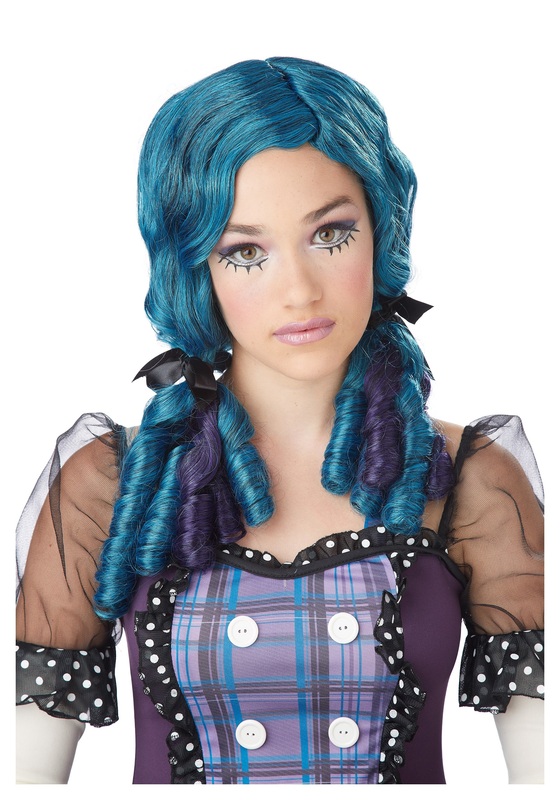 Whether you are dressing up for Halloween or just a random weeknight, this wig is sure to create some buzz about your style.